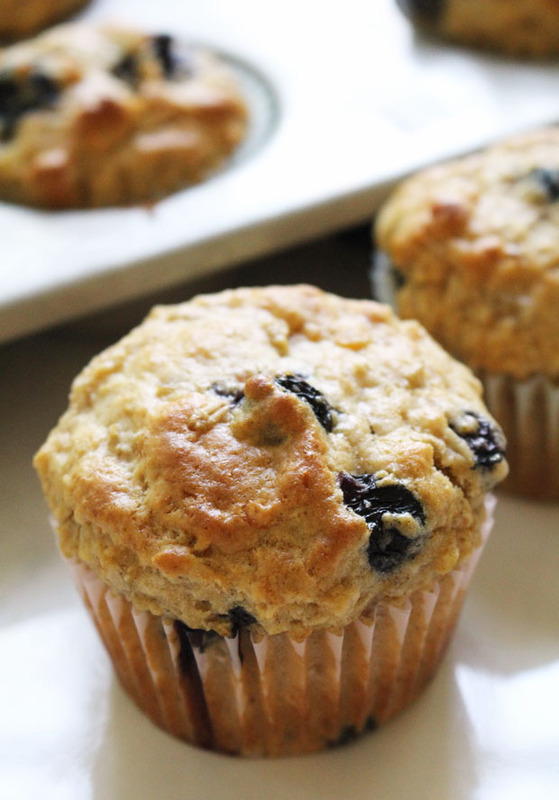 When berries are in season, I can't get enough muffins - I bake them almost every morning, so we can wake up to the smell of them baking, then nibble them with our coffee. This basic recipe makes use of leftover oatmeal - something we tend to wind up with a lot - and can be made with blueberries, raspberries, or really whatever is in season - blackberries if you're lucky enough to live in the vicinity of a thicket of them, or chopped strawberries while they're at their peak. Whatever additions you use, serve these warm; leftovers freeze beautifully too, and make perfect car snacks if you have a road trip planned this summer. Adapted from the Fannie Farmer Cookbook, via Orangette. 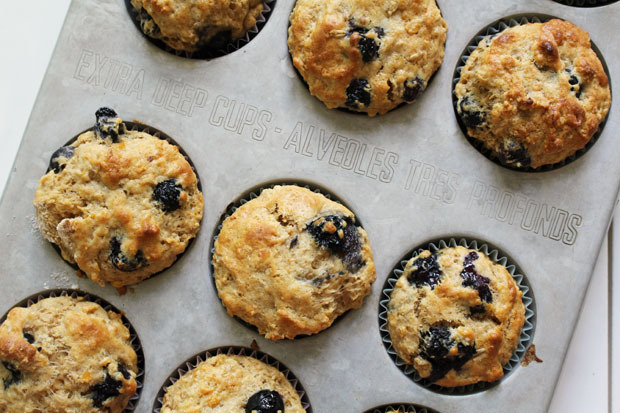 Preheat the oven to 400°F and line a muffin tin with paper liners. In another bowl, stir together the egg, oatmeal, milk and melted butter or oil. Add to the dry ingredients and stir until almost combined; add the berries and stir just until blended. Divide the batter between 10-12 muffin cups and bake for 20-25 minutes, until golden and springy to the touch. Serve warm.